Give your blender a workout with these easy recipes for everything except for smoothies! Make the most of your blender with these easy ideas for quick snacks. You’ll love how quickly these foods come together, and without having to do a load of dishes after! The recipe is open to interpretation! You can throw in whatever fresh produce you have. Put the tomatoes into the blender jar first, then add the garlic, onion, chiles, lime juice, and salt. Pulse until the tomatoes catch in the blades of the blender, then blend until very smooth, at least a minute. Scoop the avocado flesh with a spoon into the blender jar and blend until smooth. Add a little water, if necessary, to achieve a pourable texture. Season to taste with additional chile, lime juice, and salt, and blend once more. The kids will love this and it takes no time at all! 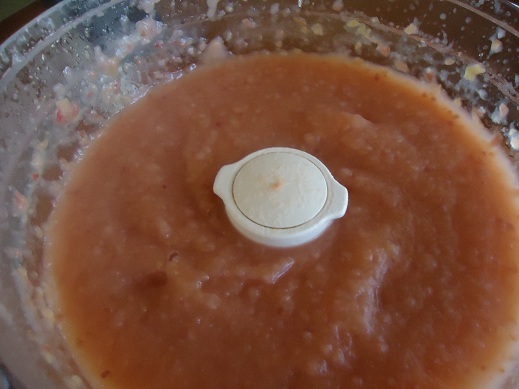 Take two apples, cored and quartered, one tbsp apple cider vinegar, one tsp vanilla extract, one tsp cinnamon. After you add everything into the blender, just turn it on and watch this healthy raw dessert unfold! This delicious salad is filled with things that are great for your body, such as parsley, fresh mint, cucumber, yellow onion and vine-ripe tomatoes. Throw in your ingredients and keep your blender on low so the ingredients don’t turn into mush. Pulse setting is the best for a crispy, yet fine chopped tabbouleh. 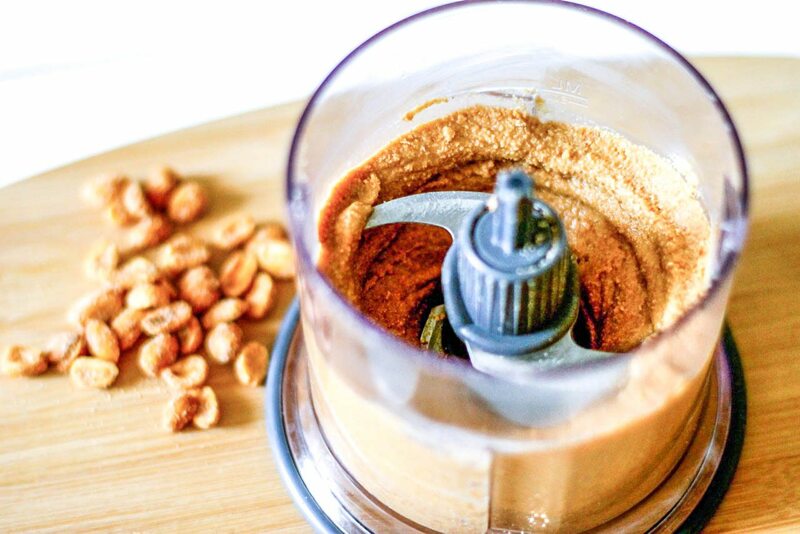 Peanut butter, almond butter, cashew butter, coconut butter, walnut butter, tahini, sun butter, homemade Nutella and pecan butter can all be made in your blender at a fraction of what it costs to buy them, and it’s so simple. 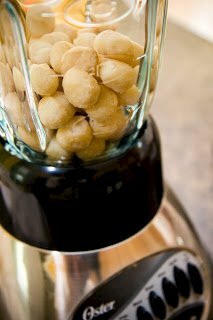 Just soak the nuts in water over night to soften, drain, and throw them into the blender and start it up. It takes about 2-3 minutes and you can customize it by adding in your own flavourings, such as cinnamon, cardamom, ginger, honey and cocoa. 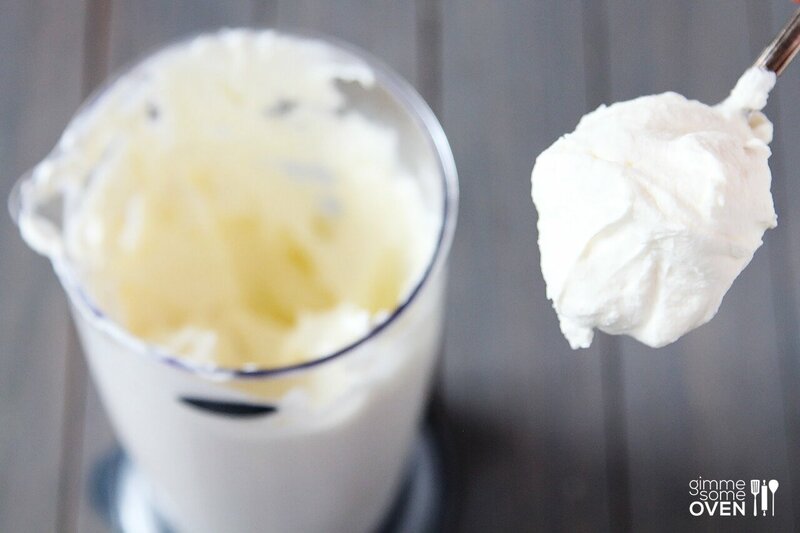 Make sure your whipping cream is chilled well to make whipped cream at home. You'll need about half a cup heavy cream which you will blend on medium for about 20 seconds until soft peaks form. Then add in one tablespoon of sugar (powdered or granulated) and one tsp of vanilla extract. Mix for another 20 seconds until it can hold its shape.